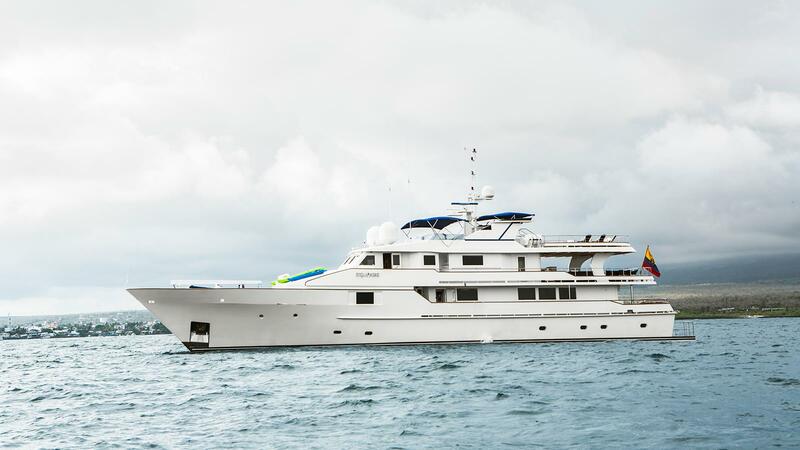 Built by the renowned Italian shipyard Picchiotti in 1987, the 38m (124ft) luxury motor yacht STELLA MARIS received a refit in 2006, followed by a further refit in 2018. 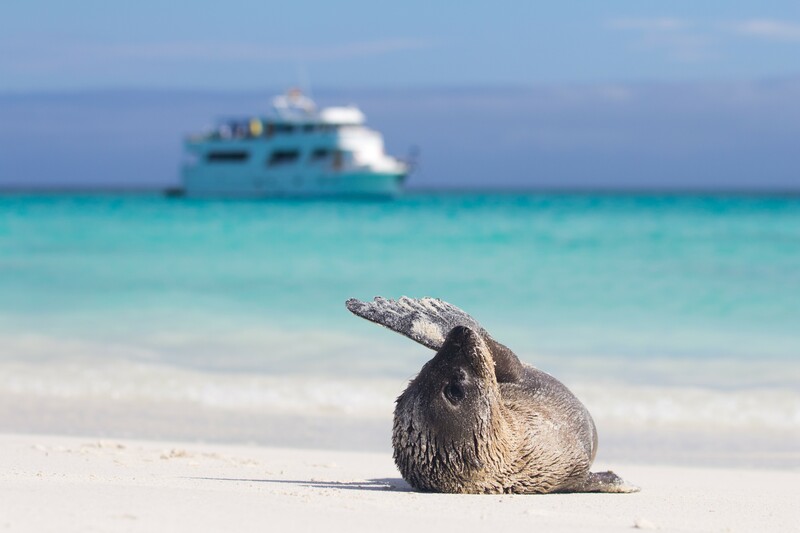 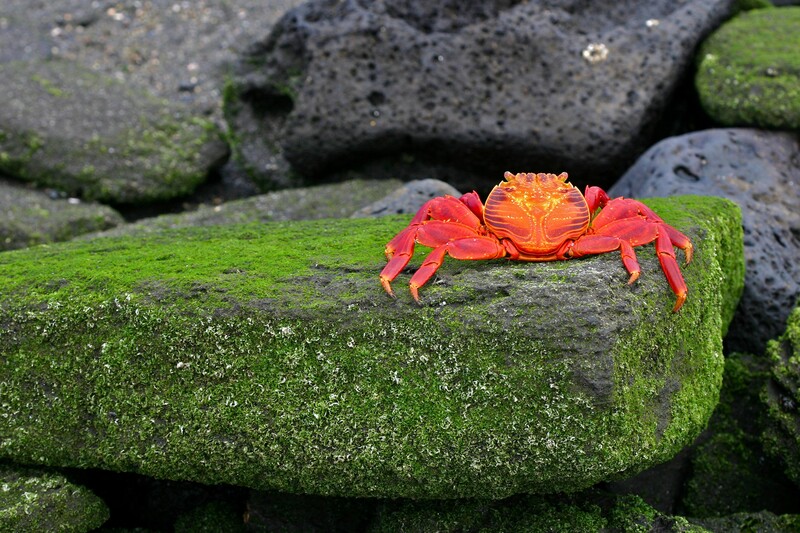 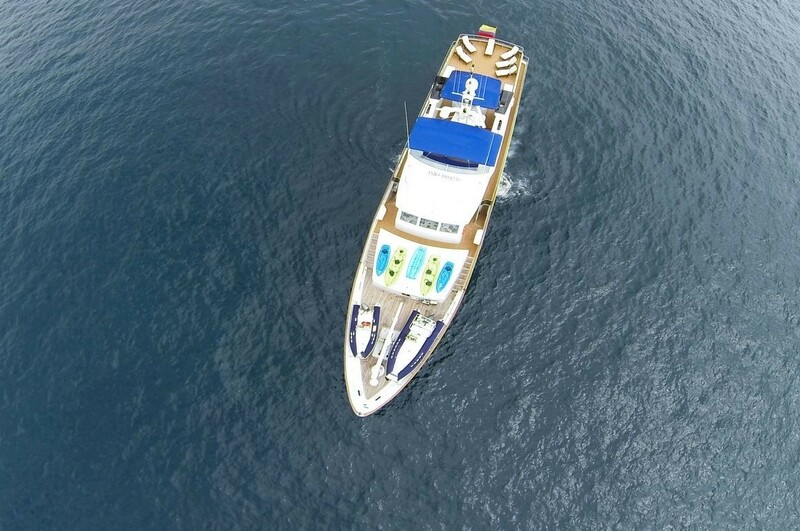 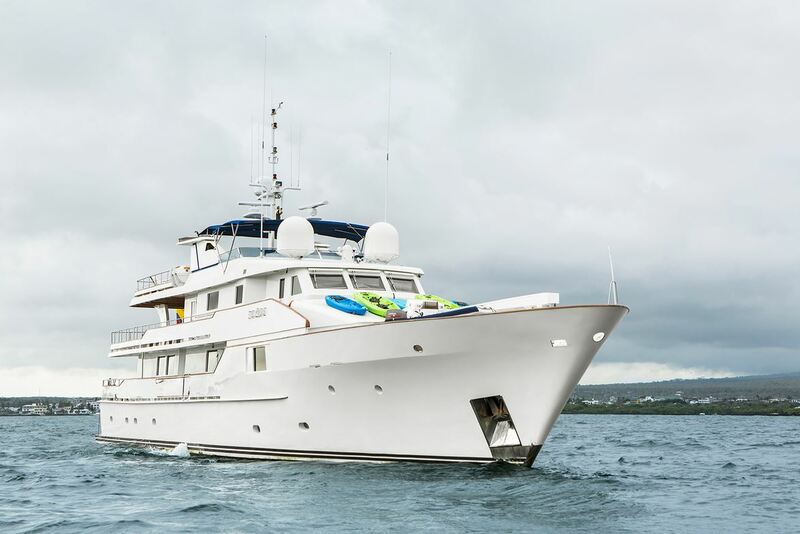 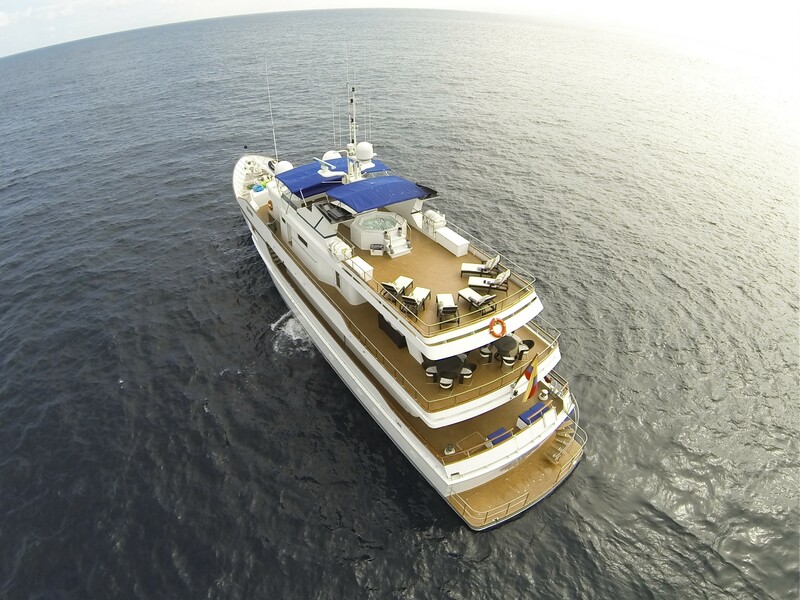 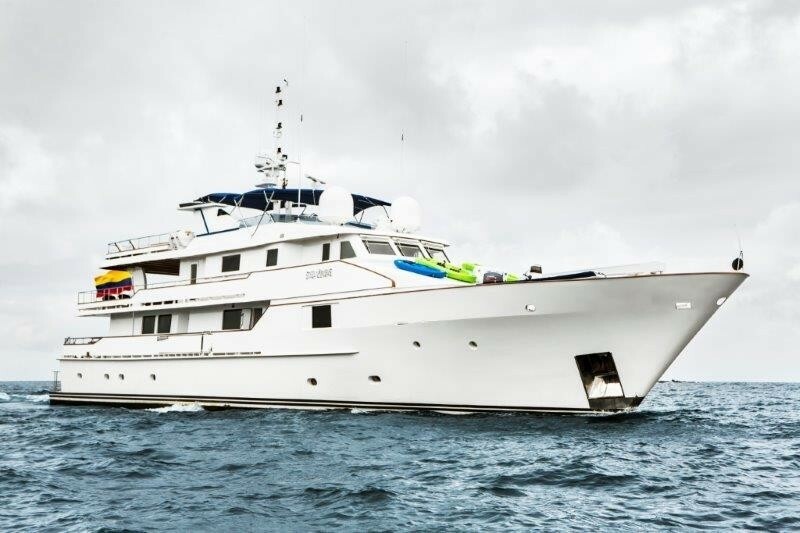 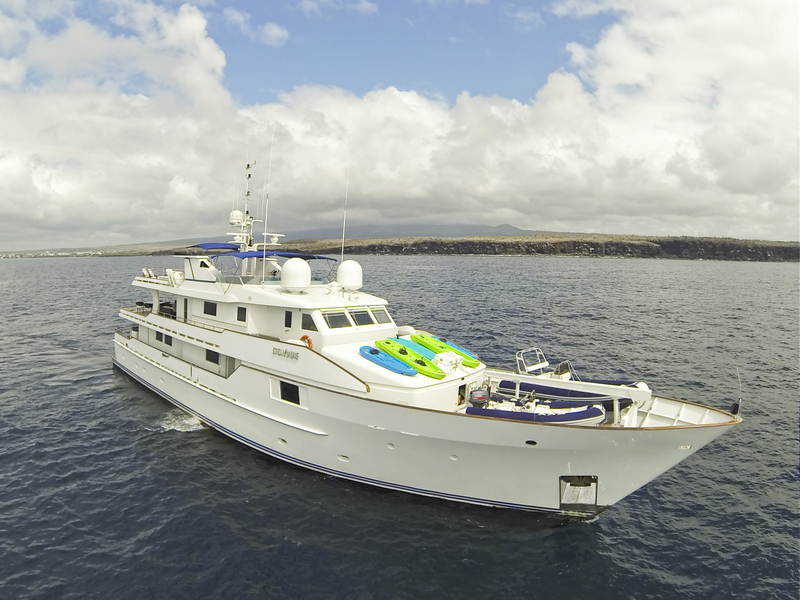 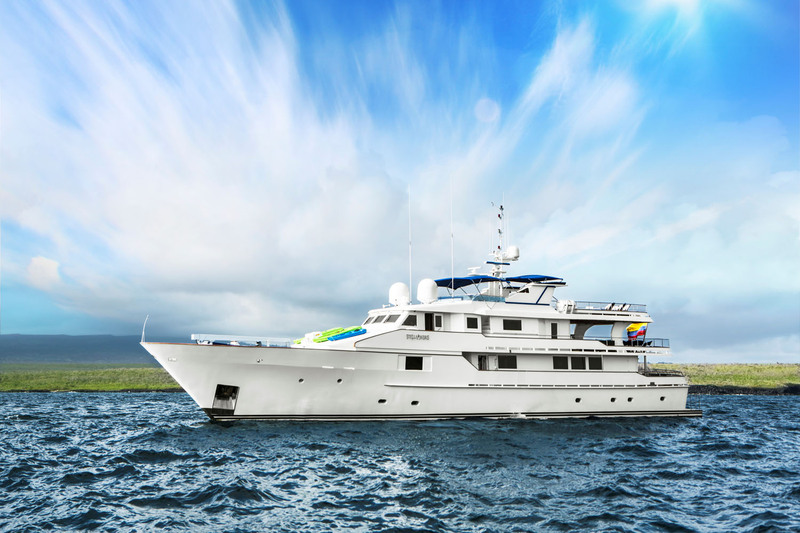 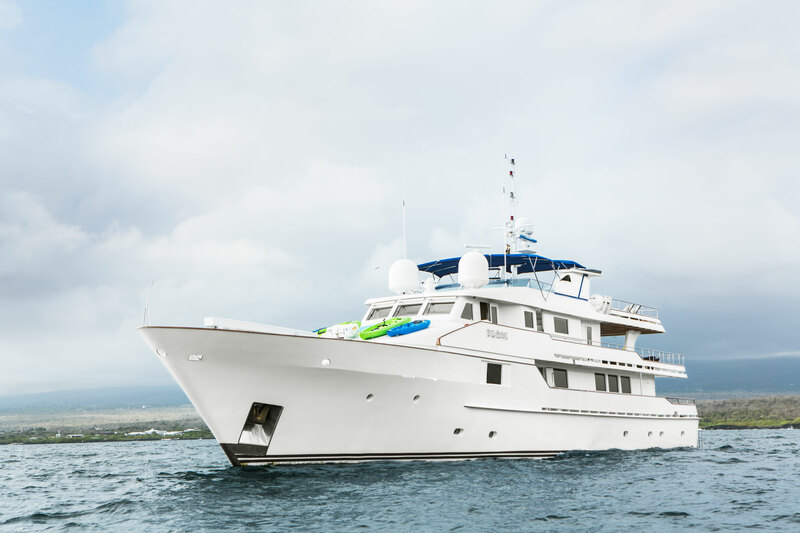 She is available for charter, offering accommodation for up to 16 guests. 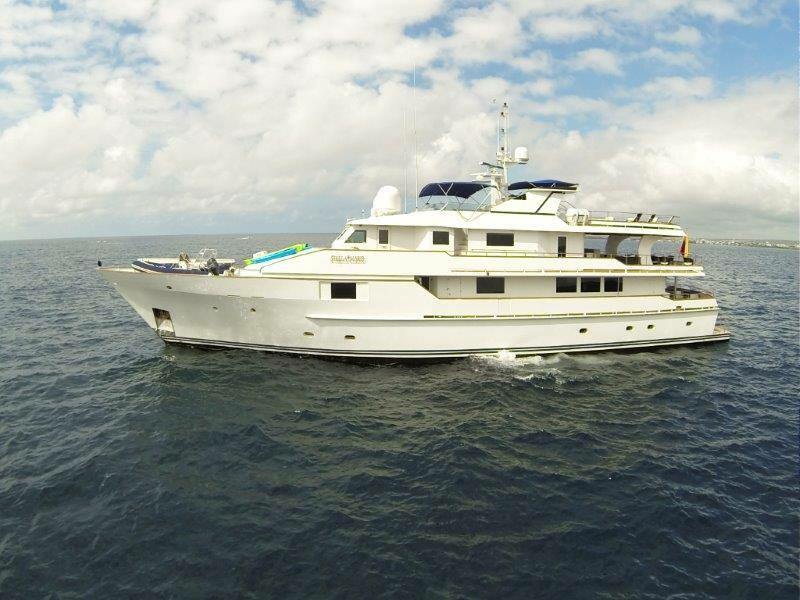 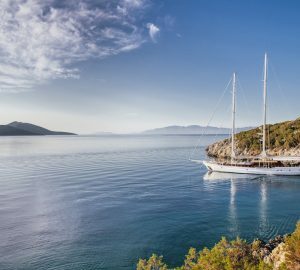 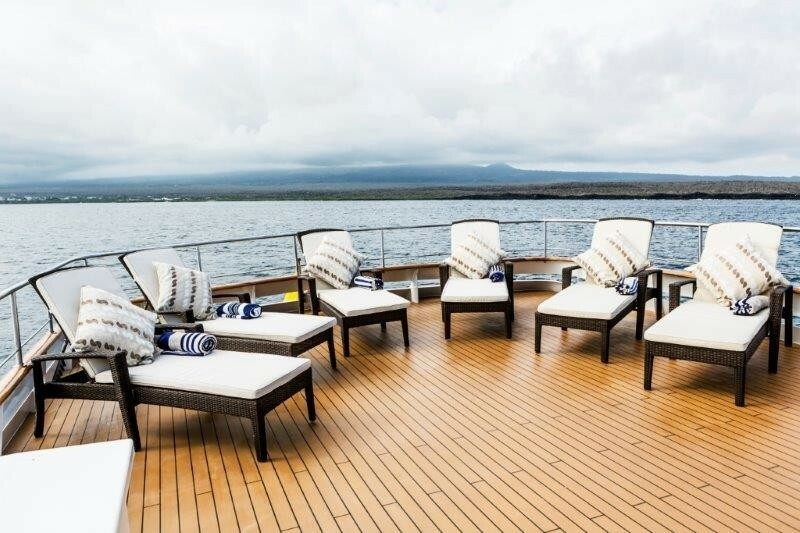 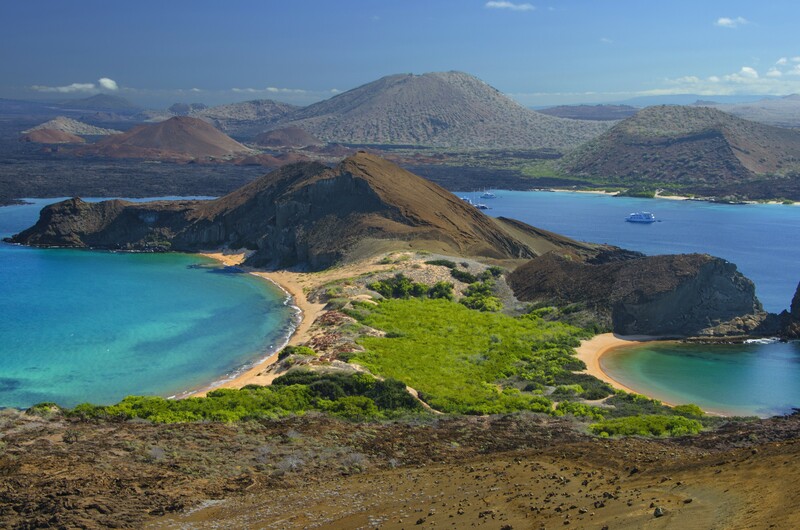 M/Y STELLA MARIS is an ideal choice for large charter groups, offering ample interior and exterior areas to relax. 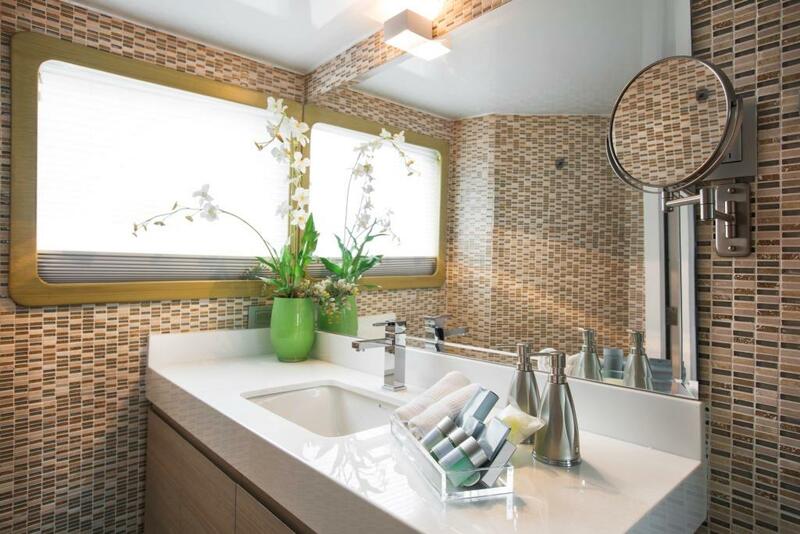 Her contemporary interior décor is welcoming and neutral, while well-appointed panoramic windows allow plenty of natural light. 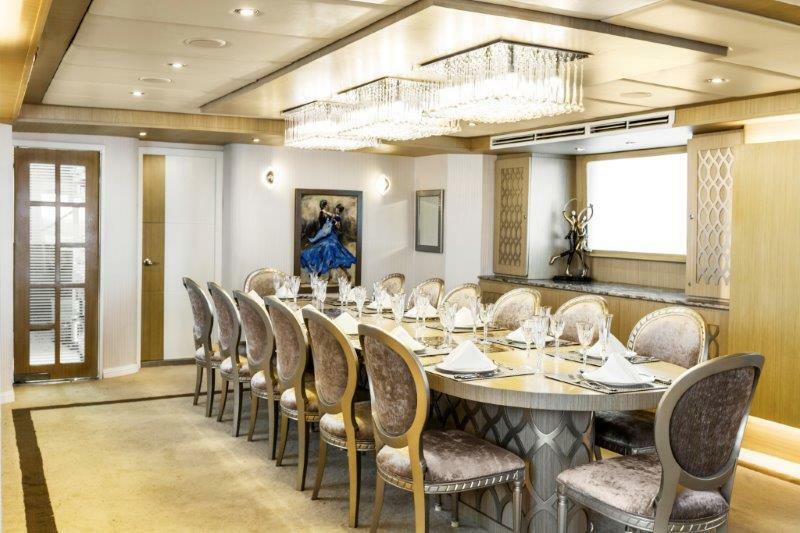 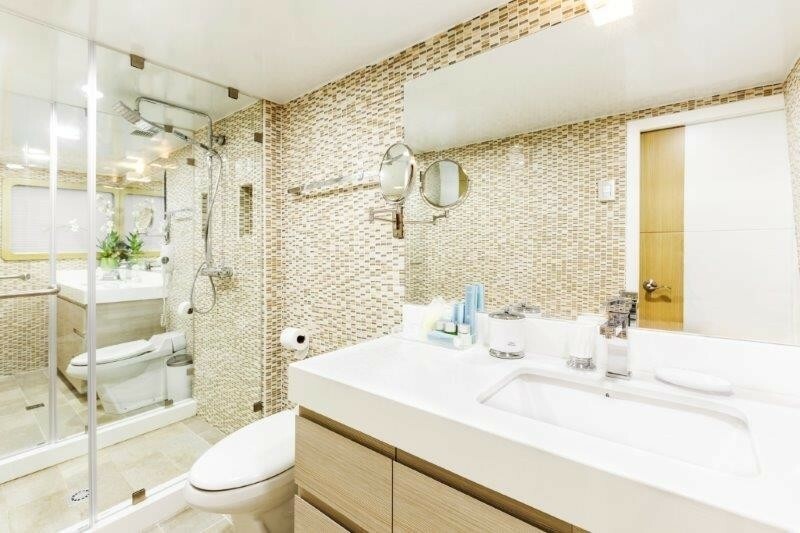 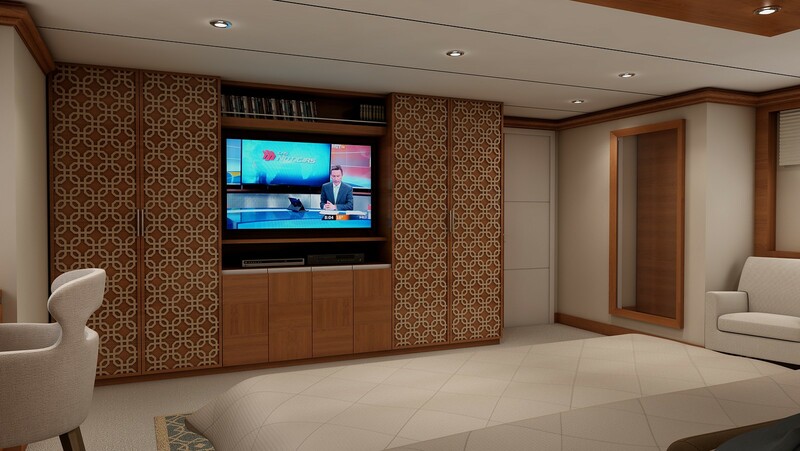 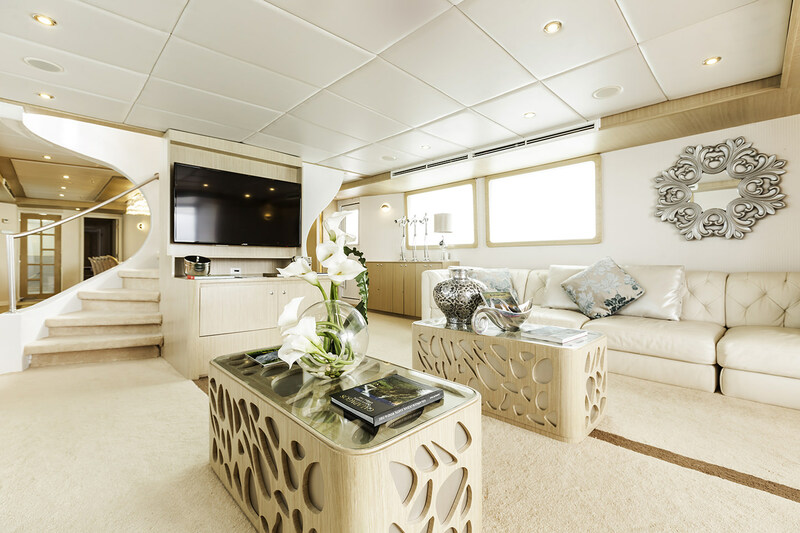 On the main deck, there is a generous salon with TV entertainment. 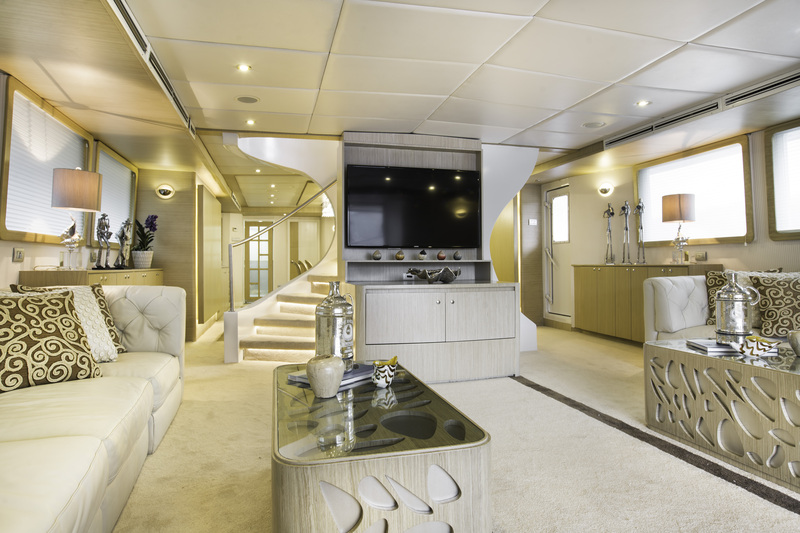 A central staircase provides separation from the formal dining area forward. 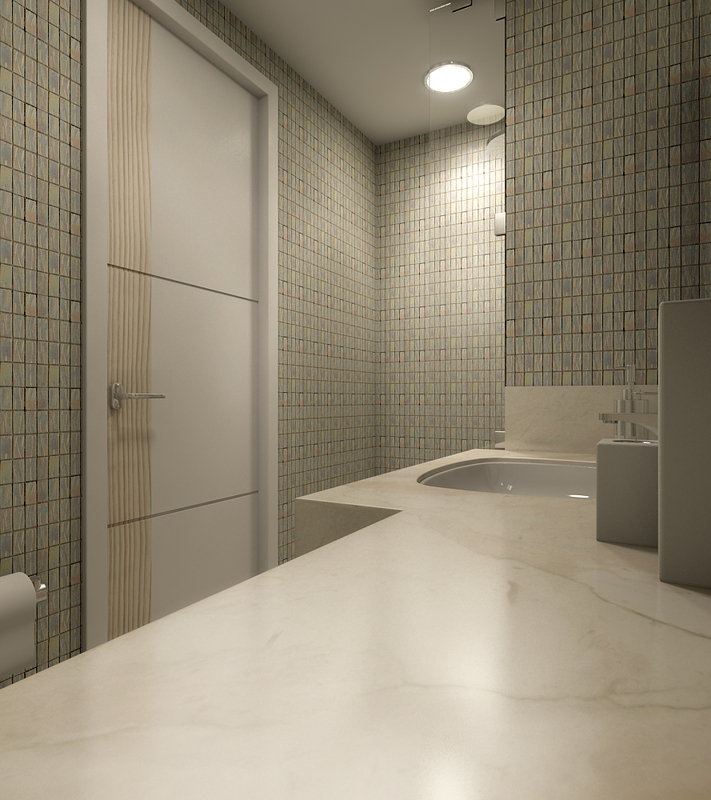 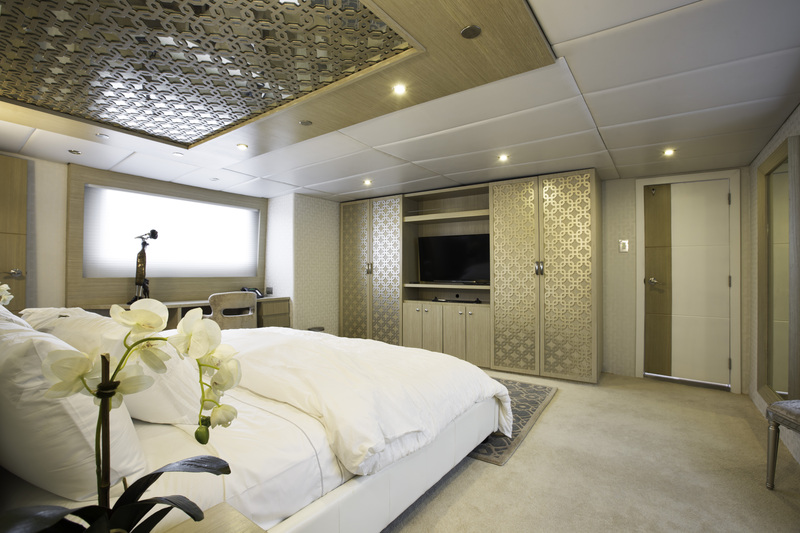 Guest accommodation is in 8 en-suite cabins. 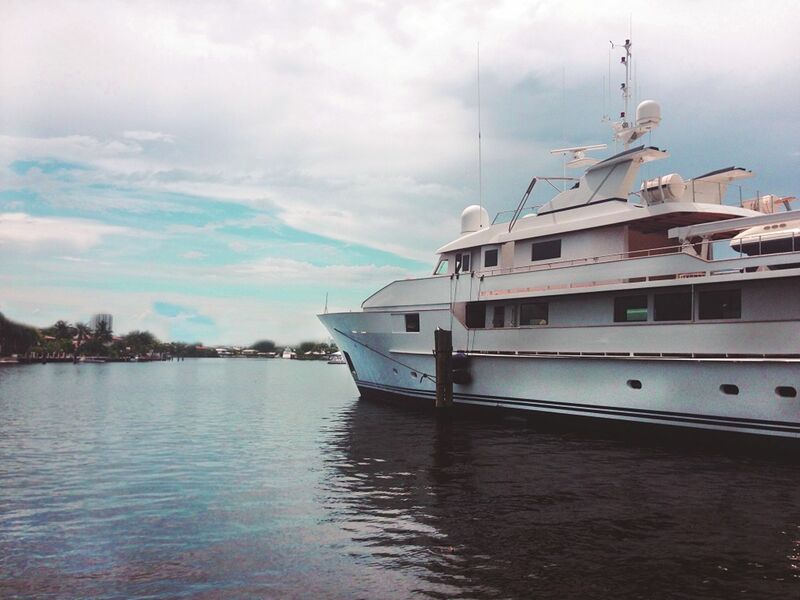 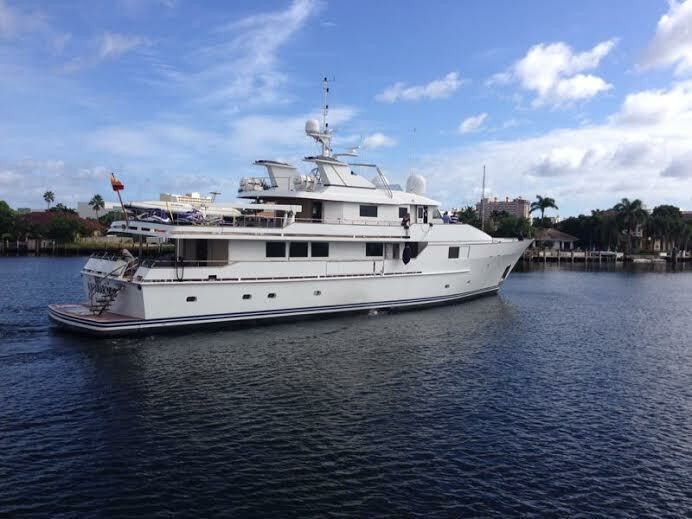 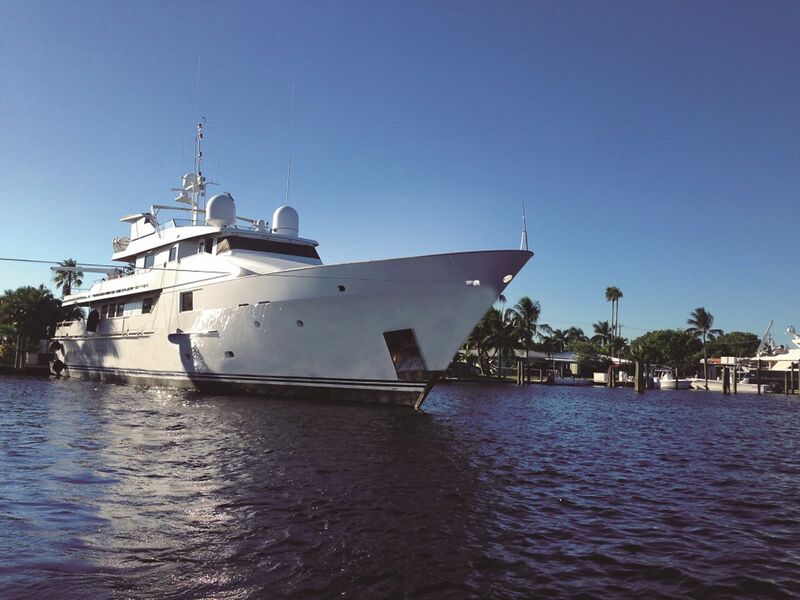 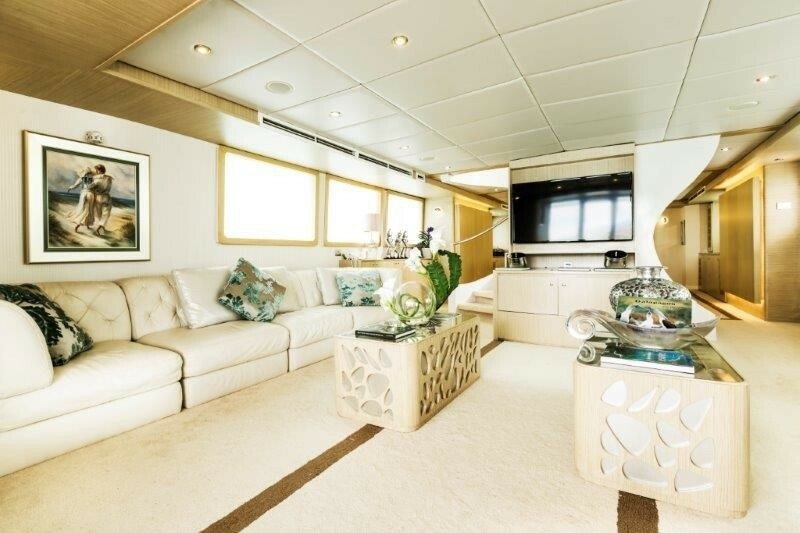 Aboard this beautiful yacht, guests may find plenty of exterior living space. 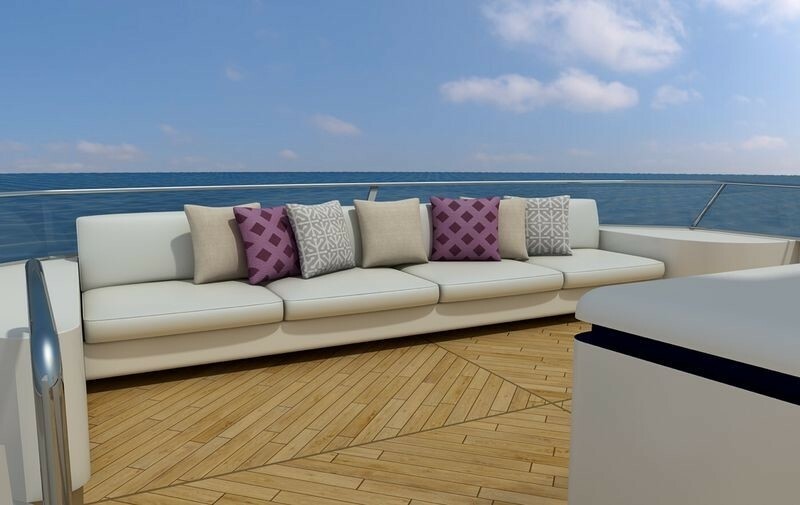 On the main deck, aft doors lead to a large shaded social area, perfect for entertaining and dining alfresco. 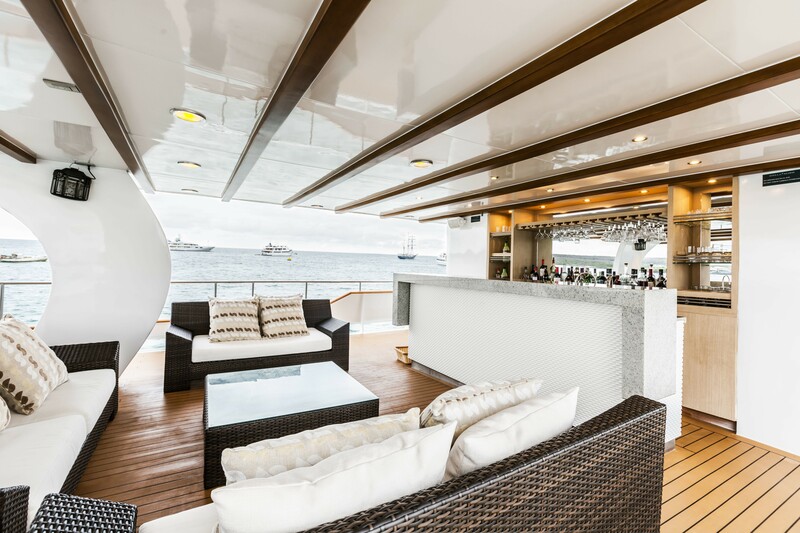 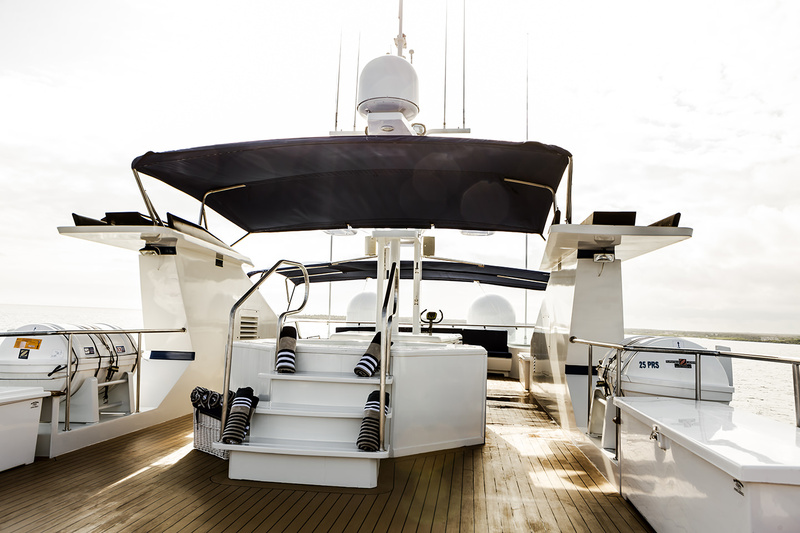 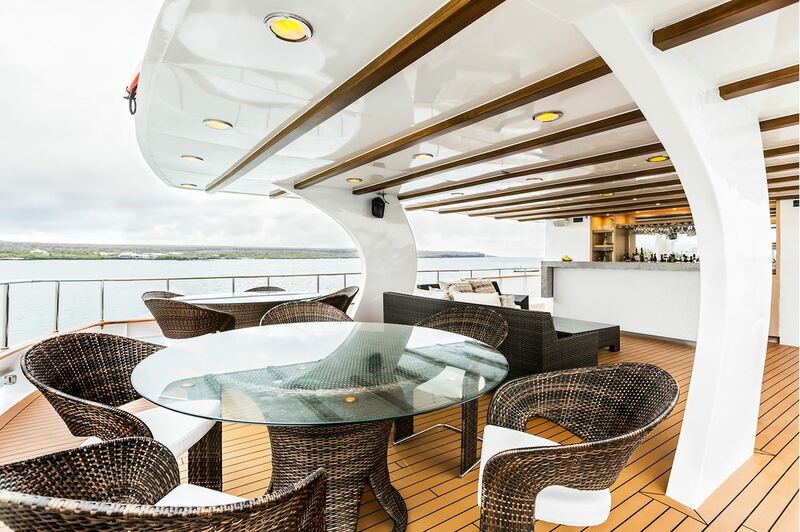 The upper deck has a spacious aft deck, complete with alfresco dining and a wet bar. 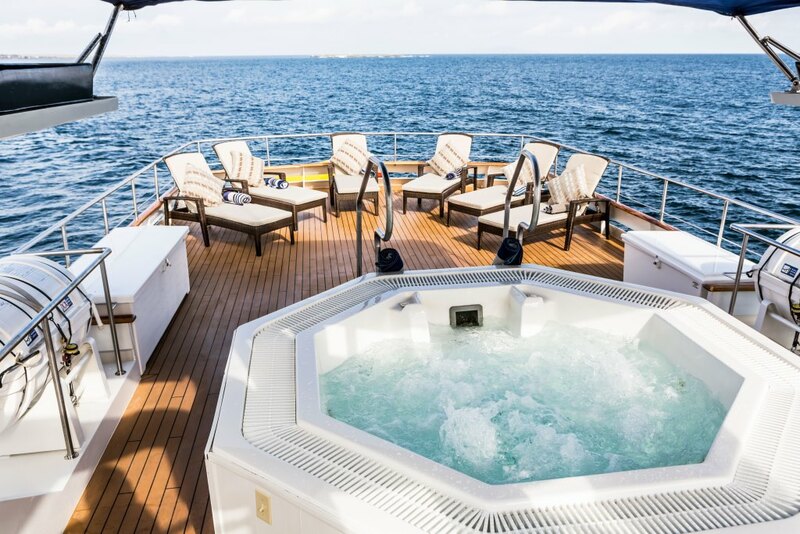 The sundeck is fabulously private and boasts chaise lounges, a Spa Pool tub, and spectacular views. 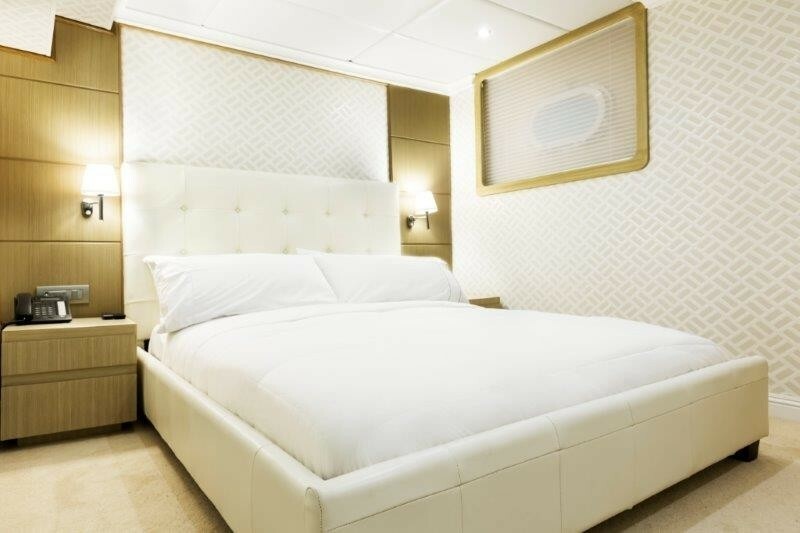 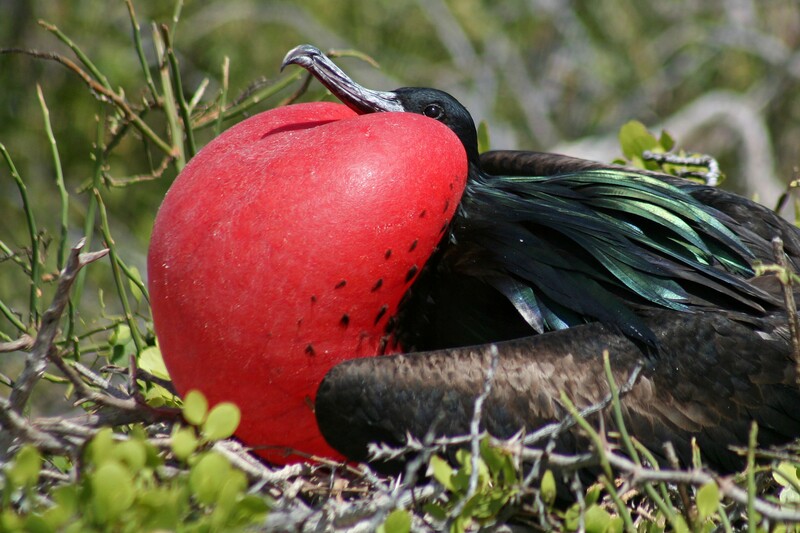 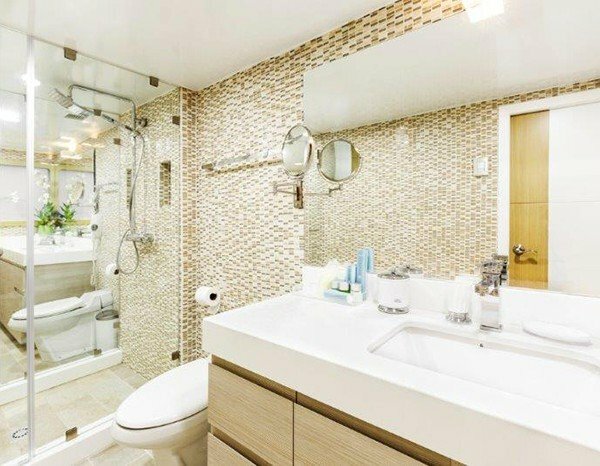 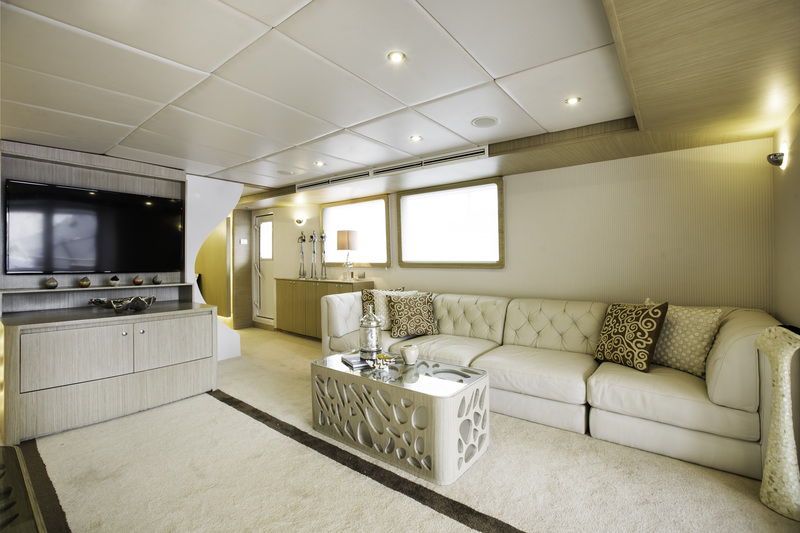 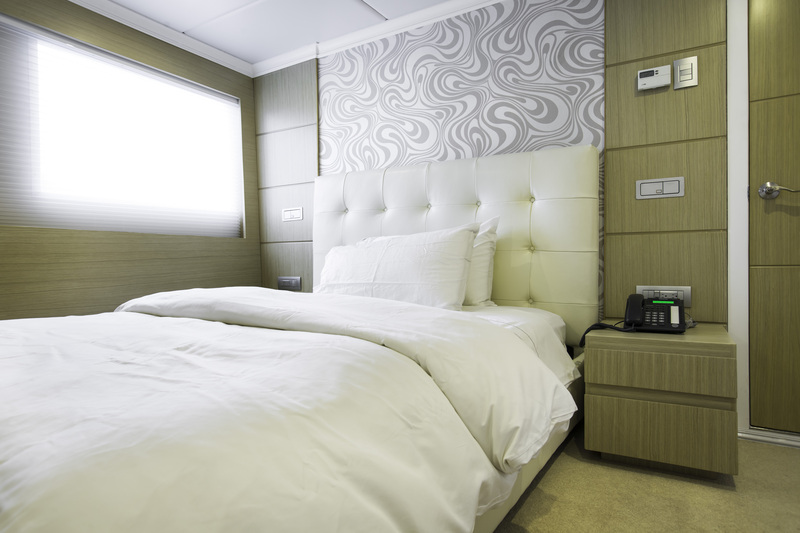 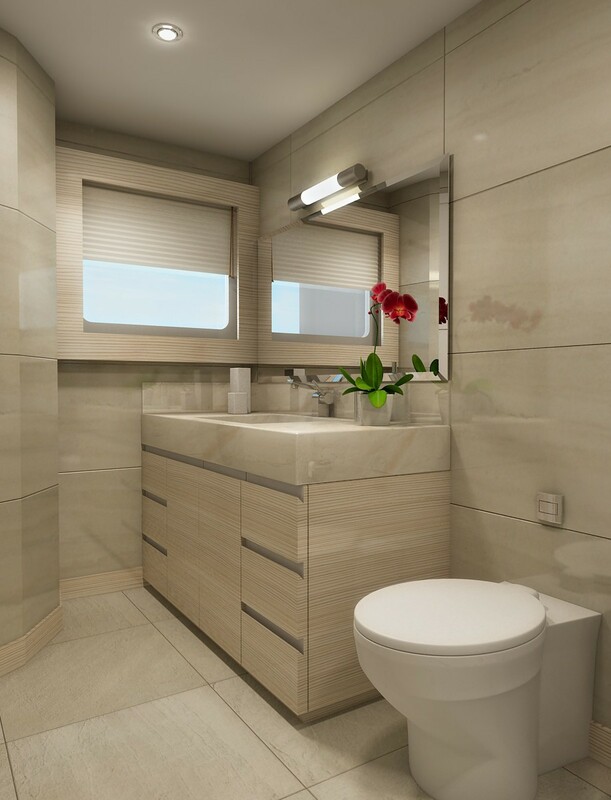 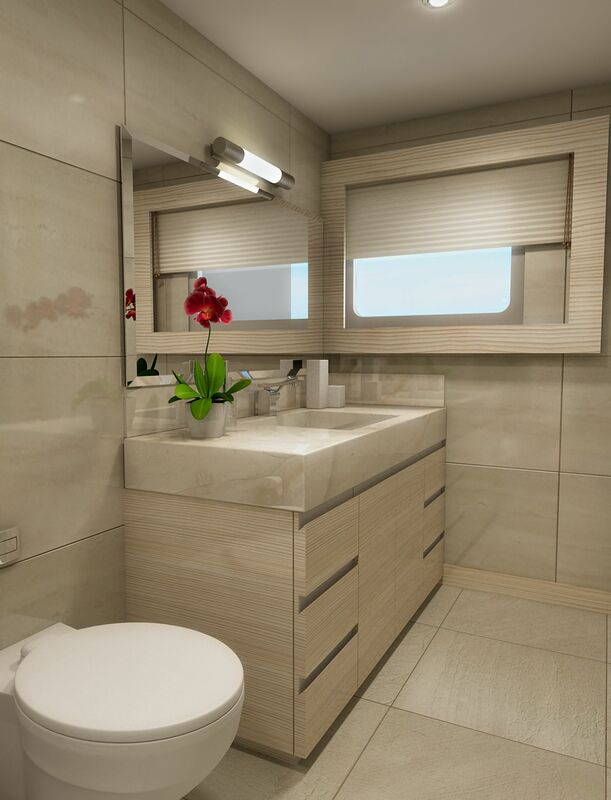 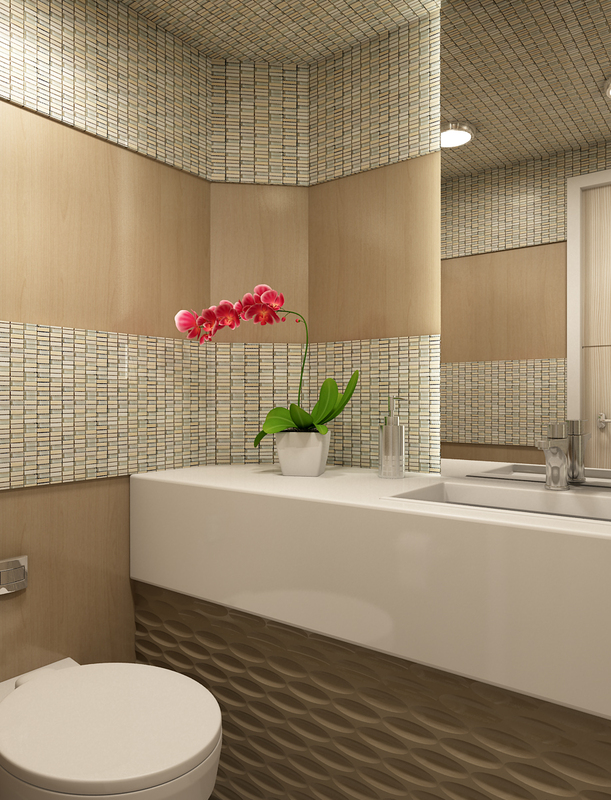 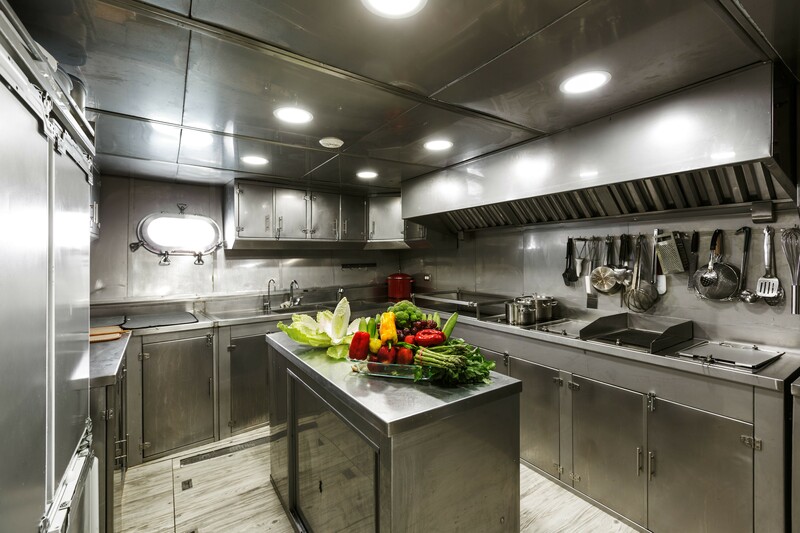 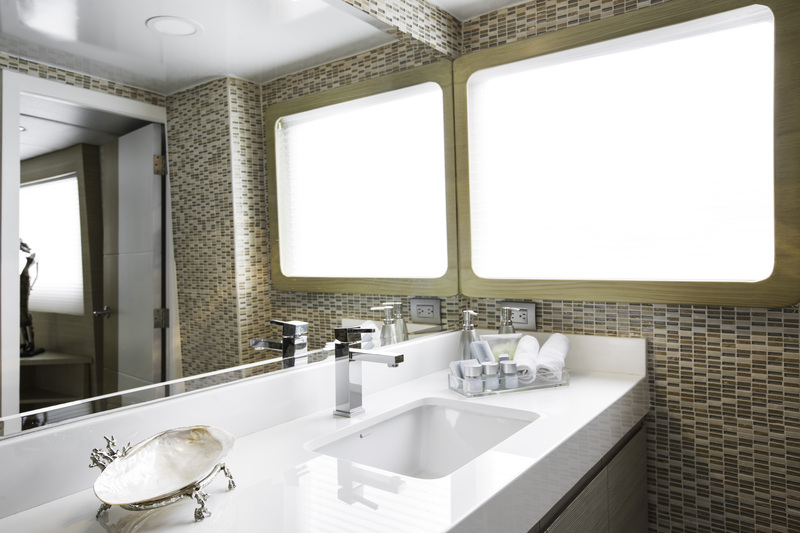 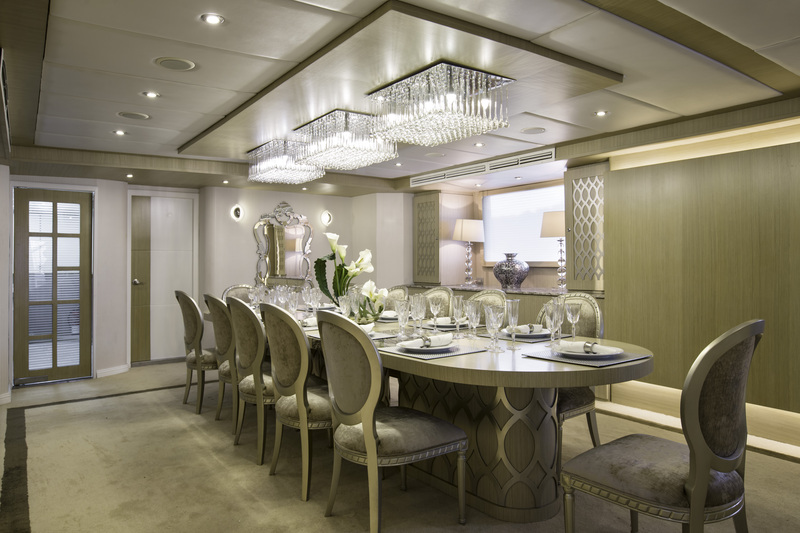 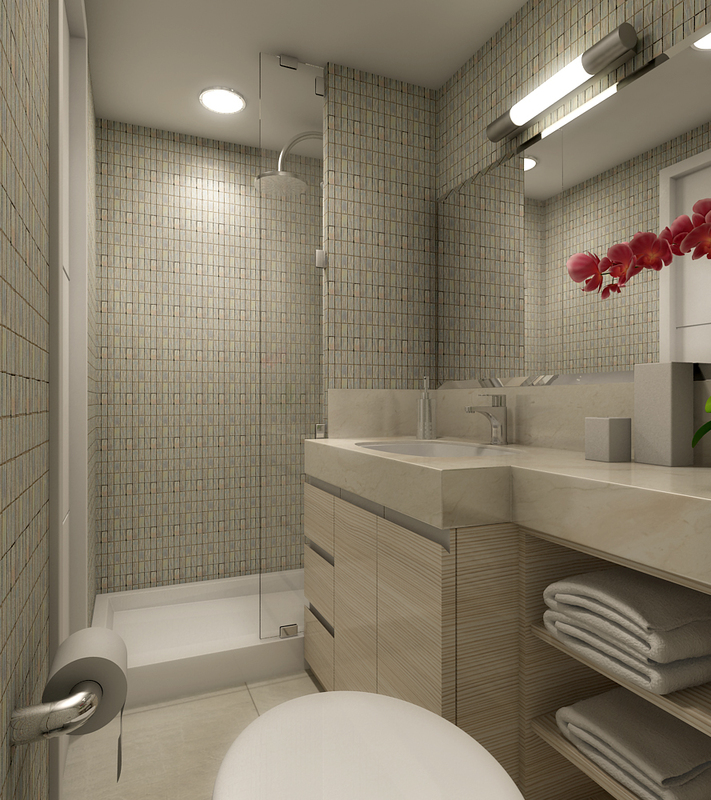 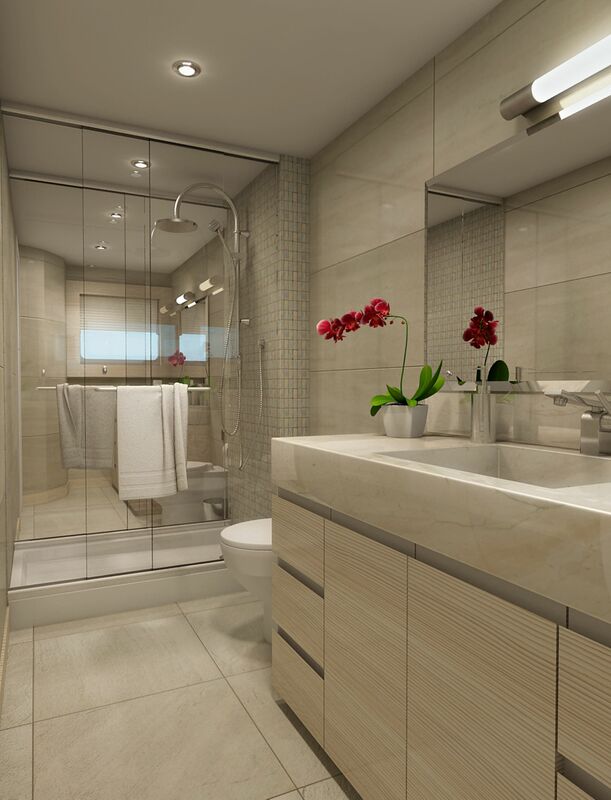 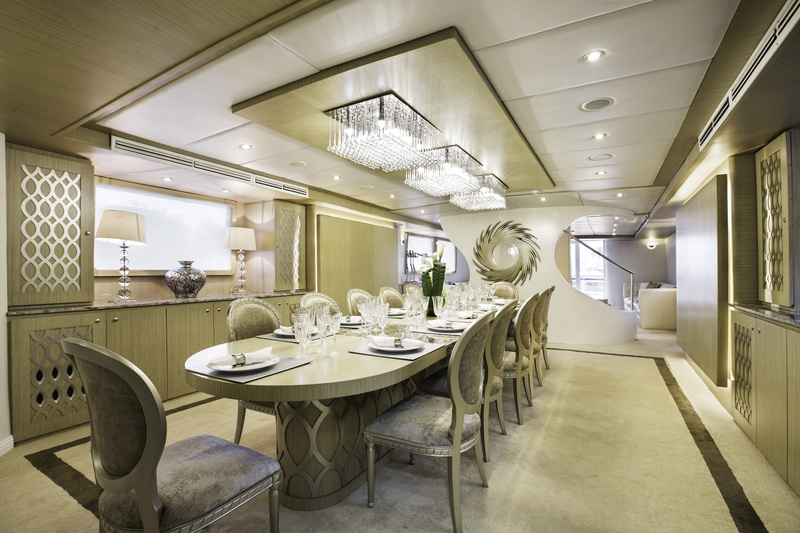 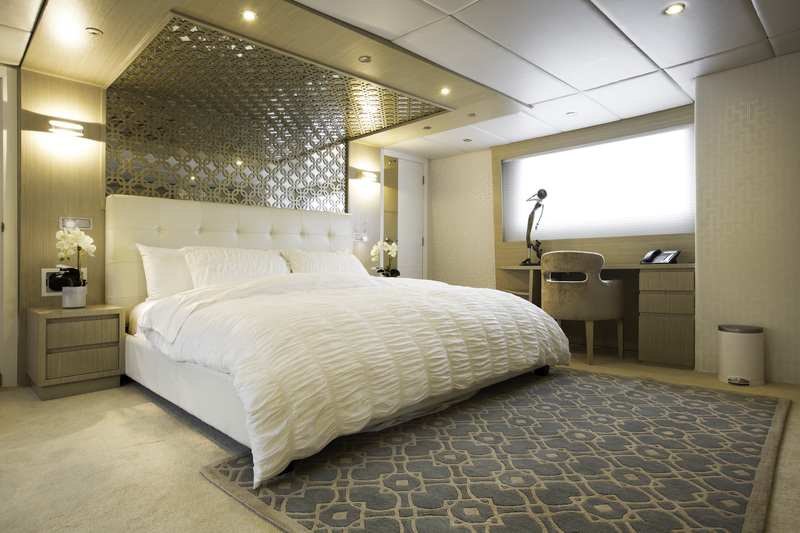 Luxury motor yacht STELLA MARIS features very well-appointed accommodations. 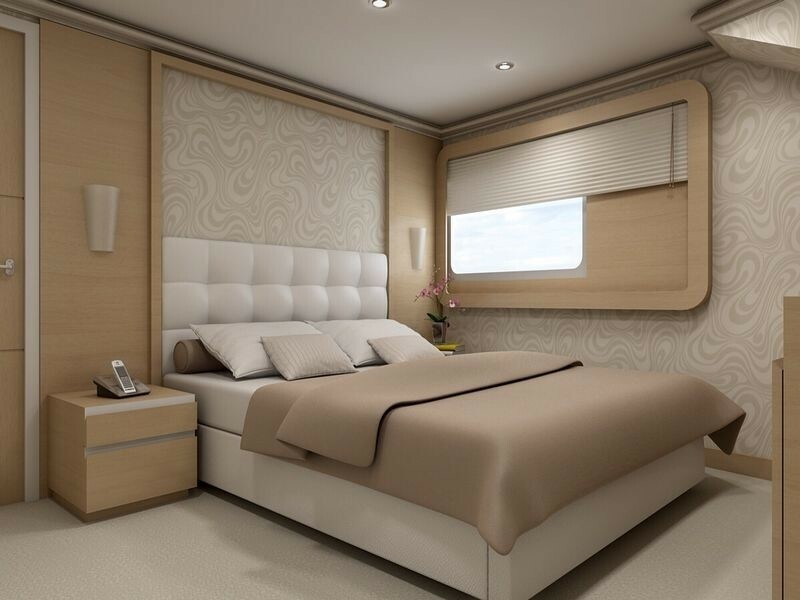 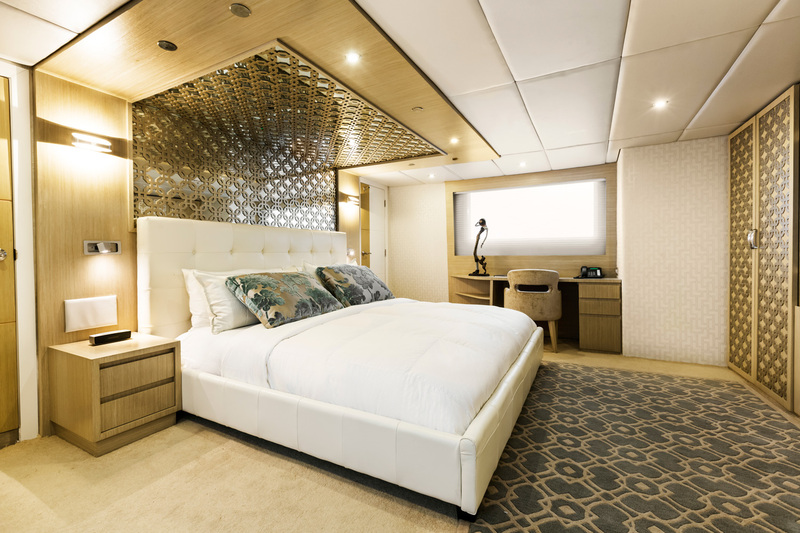 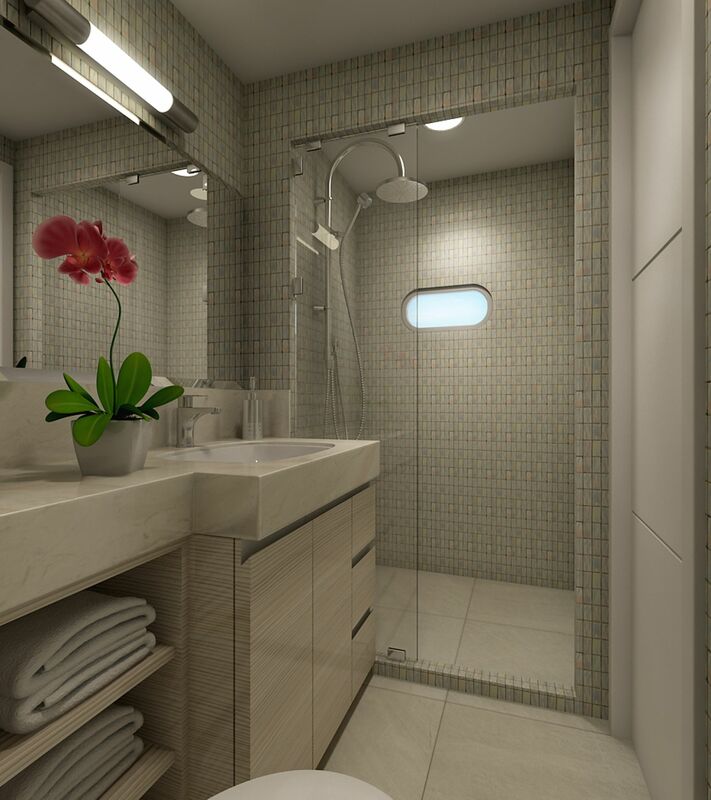 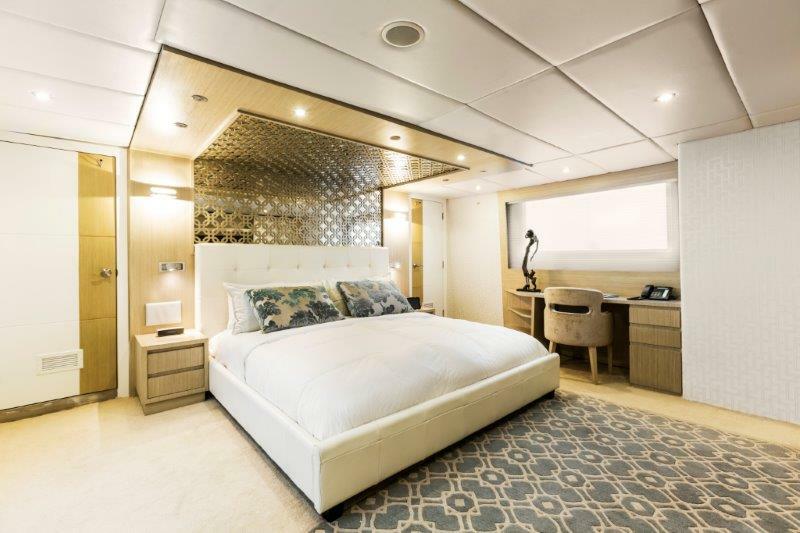 On the bridge deck is the master suite, offering a full beam layout, king size bed, desk, sofa and direct upper aft deck access. 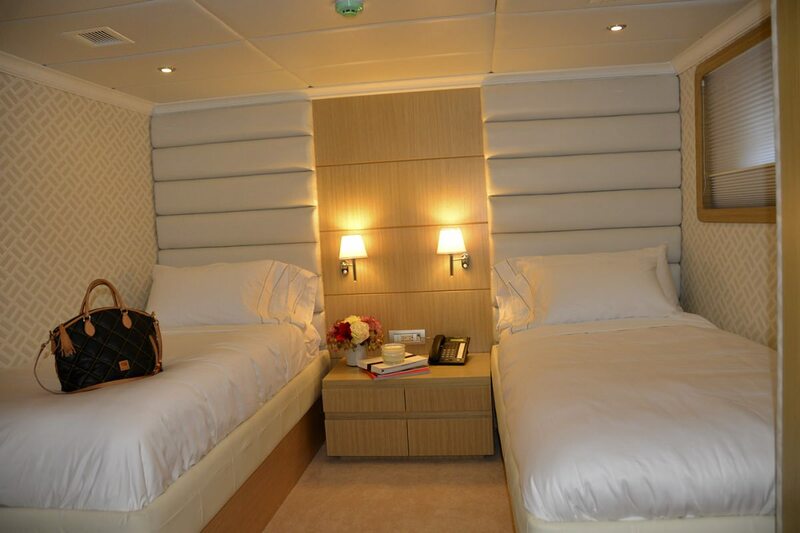 On the main deck are 2 VIP cabins and 1 twin cabin. 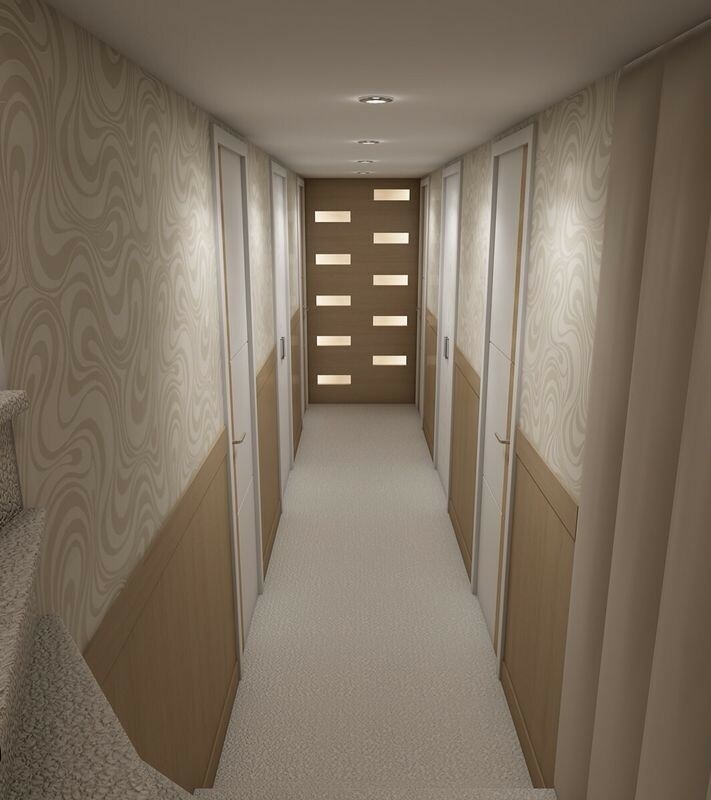 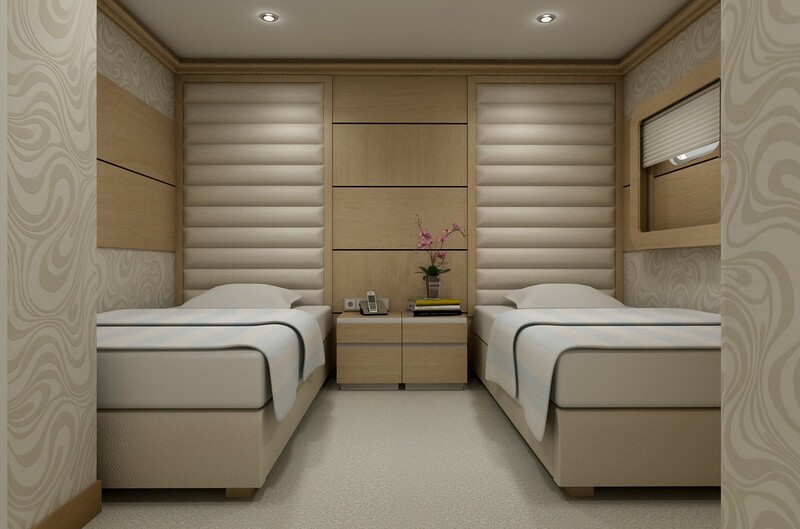 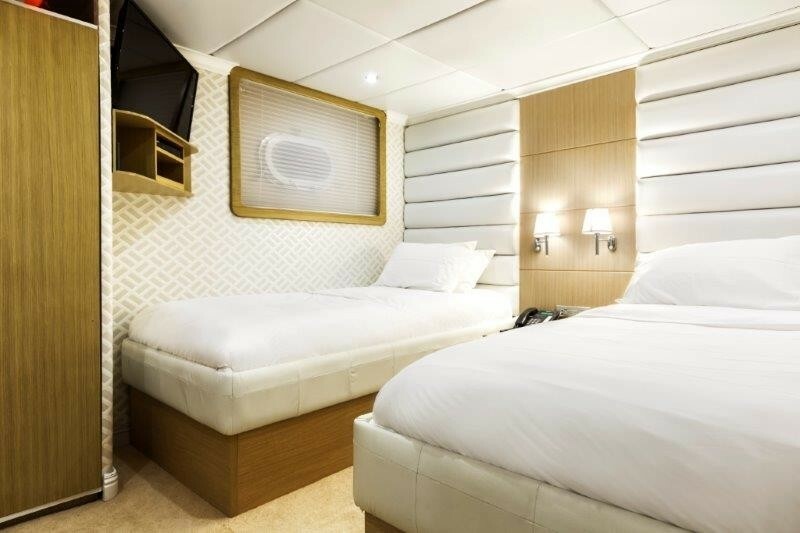 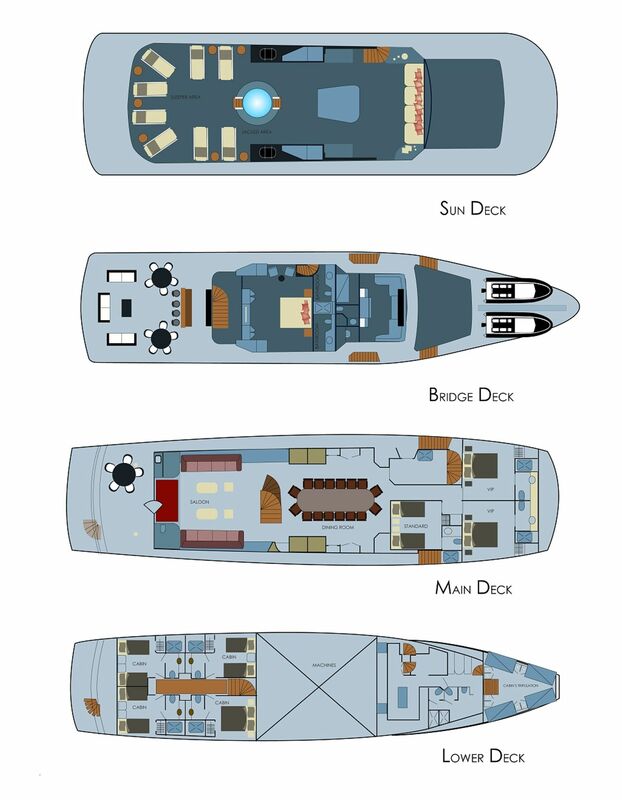 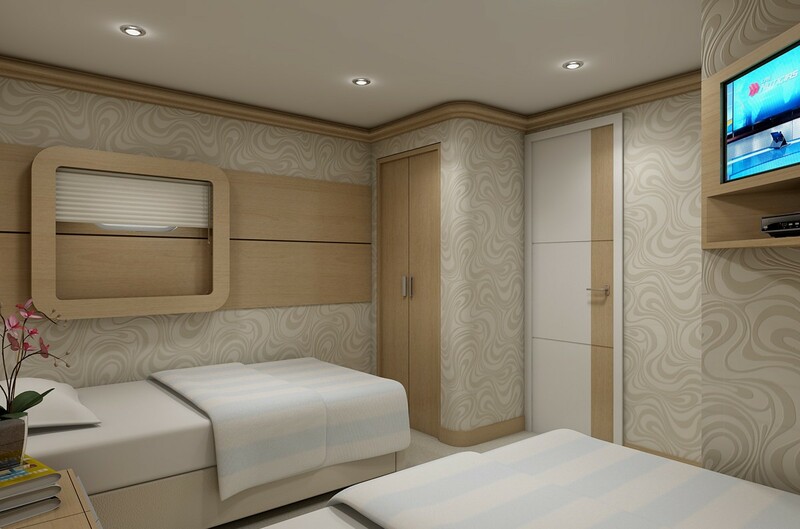 Below decks are one double cabin and 3 twin cabins. 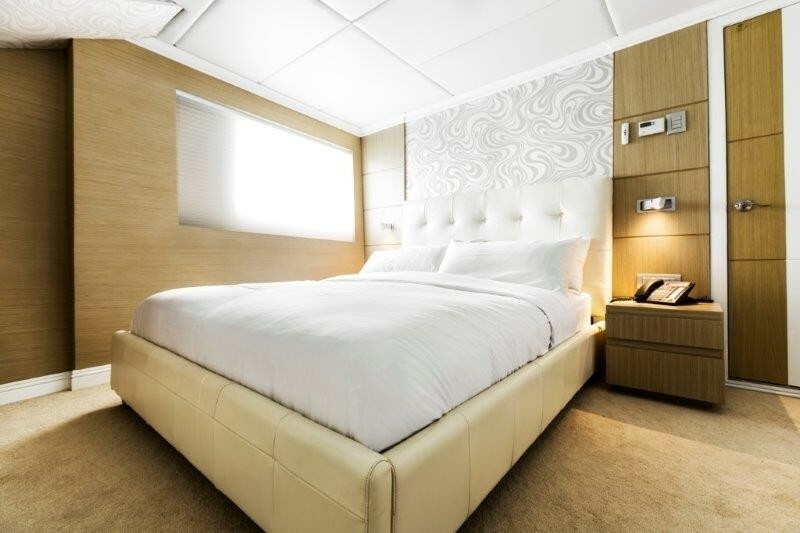 All guest cabins are fully air conditioned and offer private en-suite facilities.